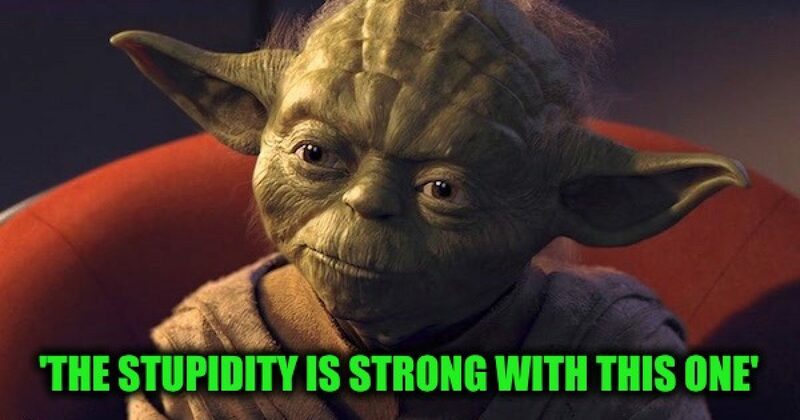 Once again U.S. Representative-elect for New York’s 14th congressional district, Alexandria Ocasio-Cortez proved her knowledge of current events and history is at best sub-standard and that socialism makes one stupid. On Sunday about 500 members of the migrant caravan tried to “violently” breach the border with the U.S. just south of San Diego, California. 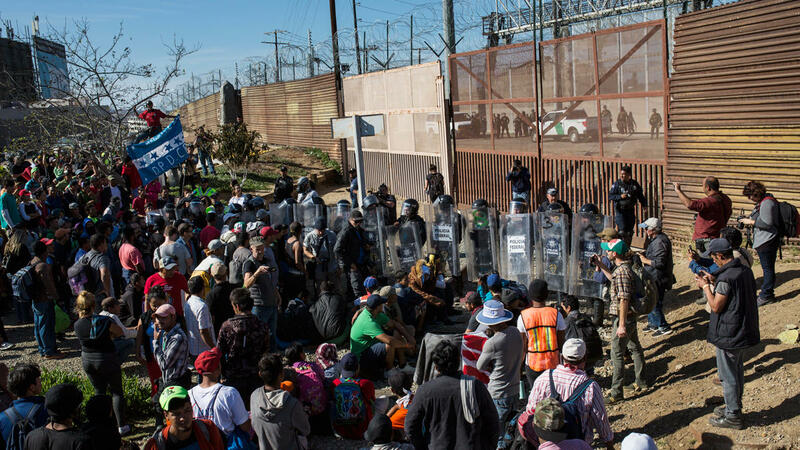 The offending migrants first tried pushed their way past Mexican federal police on the south side of the port of entry between Tijuana and San Ysidro. Then upon reaching the barriers on the American side, started tossing rocks at the US Border Patrol agents, who used pepper spray and tear gas to protect themselves and repel the attack. The Democratic-Socialist Ocasio-Cortez was displaying her ignorance in many ways. The Jews fleeing Germany, families fleeing Rwanda, communities fleeing Syria were all escaping from physical harm. The caravans fleeing from Central America a trying to get into America for economic reasons, under US law, that is not a legal reason for asylum. But why should a member of Congress know the law? Another mistake the new member of Congress made is those other refugee groups she compared to the Central American caravan did not try to violently enter the United States, they didn’t throw rocks at the border patrol. While most of the offending migrants threw rocks at the border patrol on the other side of the US barrier, some threw rocks at border patrol helicopters flying high overhead, Thus proving those migrants had the mental capacity of Alexandria Ocasio-Cortez. Ocasio-Cortez missed another difference. While the United States is willing to process the asylum applications of all who legally make their requests at one of the official borders crossings that wasn’t done during the Holocaust, As many progressives are today FDR was an anti-Semite, and he did not want to allow the Jewish refugees in the country. In the book “FDR and the Holocaust: A Breach of Faith,” historian Rafael Medoff suggests that Roosevelt failed to take relatively simple measures that would have saved significant numbers of Jews during the Holocaust because his vision for America was one that had a small amount of Jews. In other words, FDR doomed many Jew to suffer not because he wanted them to die, but because he didn’t want a lot of them living in his neighborhood. It is sad to consider that Franklin Delano Roosevelt is regarded as a hero by most Americans when the real truth was that he was a bigot who caused the death of almost 200,000 Jews and threw AMERICANS of Japanese descent into camps. Ocasio-Cortez’s of Central Americans to Jews fleeing Germany, families fleeing Rwanda, communities fleeing Syria is a comparison of apples and oranges. She is correct when she wrote asking to be considered a refugee & applying for status isn’t a crime, but storming the border in an attempt to break into the country, and throwing rocks at border agents is illegal. But perhaps it isn’t Ms.Ocasio-Cortez’s fault, after all, it is a well-known fact that socialism makes one stupid.